St John’s Church is renowned for its musicality and our bi-annual lunch-time concerts on Wednesdays 12.30 – 1.30 are very popular. Good acoustics, a warm, bright, pleasant environment and the high standard of musicians it attracts assures music lovers of a very enjoyable hour at any of our concerts. 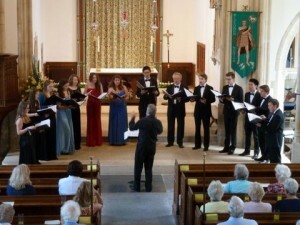 These concerts are free with a retiring collection for those who wish for the upkeep of St John’s Church. Money raised over the last few years has contributed greatly to the refurbishment of St John’s and in particular the new Choir and Organ gallery. Light refreshments are available and people who work are encouraged to come and go as time allows during their lunch break. Everyone is welcome to join us for this hour of stillness and musical enjoyment.